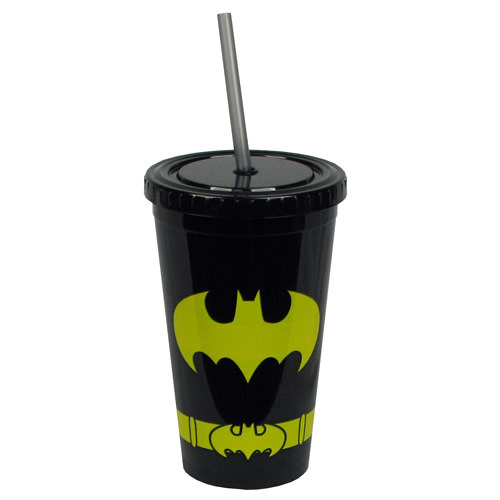 Show your love for the Caped Crusader as you keep your drink cold! This Batman Uniform 16 oz. Plastic Travel Cup is double-walled and made of sturdy plastic - complete with lid and straw - to help insulate your drinks. Plus, it's got an incredible black design of Batman's crime-fighting outfit!